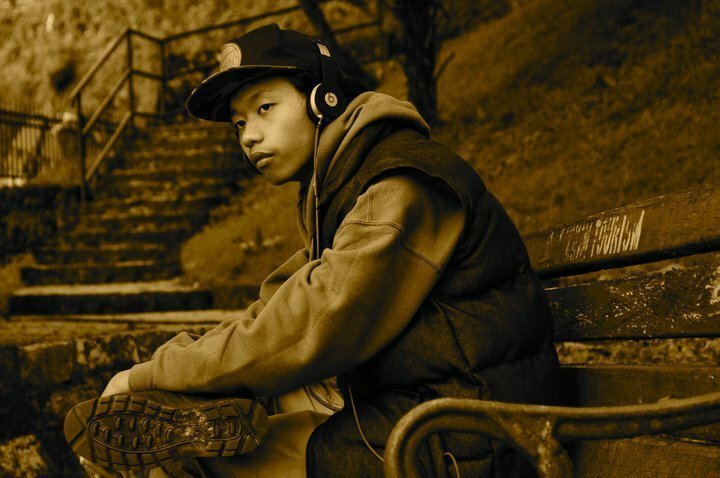 Dagyap is a Tibetan hip-hop artist born and living in India. Just twenty-one years old, his real name is Sonam Chopel. He is known for releasing music that relates to the various problems that Tibetans face in exile. According to his facebook page, his influences are Jay Z, Tupac, the Game, and the Dalai Lama. That should give you a hint of what you are about to hear. Before I continue, I’d like to mention [in case you aren’t aware] that as Marie Marshall recently said to me in another context, “The United States is in bed with China” – therefore nothing has/will be done about this via the United States. Tibet is virtually invisible in the American media, and our ridiculous relationship with China is the reason why (though with that said, the same ridiculous relationship may end up helping us face whatever is about to happen in North Korea as a result of Kim Jong Il’s death). This is musical expression that seeks to invoke change. This piece is framing an era, commenting on the current affairs of Tibetans while simultaneously reminding us that no one, including the UN, is doing a thing about it. Many musicians are social activists, and Dagyap is no exception. The Tibetan issue is one of global importance. Hip-hop artists in the United States and South African have used their music as a means to disseminate the message of racial oppression, and artists in Indonesia have used hip-hop to speak out against government injustice and Islamic rule. 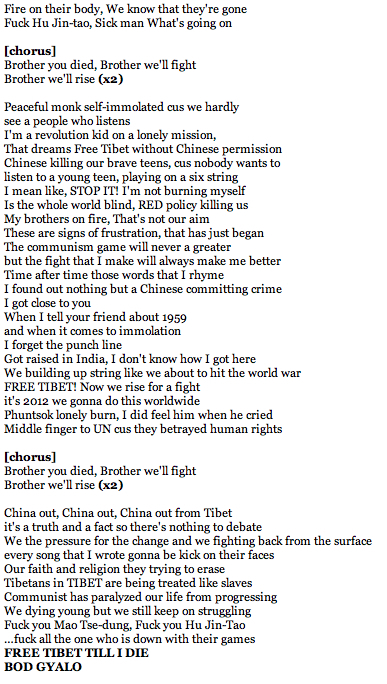 Dagyap, and other Indo-Tibetan artists, are doing the same by sending this message: the Chinese are killing Tibetans. They are attempting to exterminate them.